One of the most rapidly growing segments in the food industry is gluten-free baked products. These goods not only cater to those with medical needs, from celiac disease to gluten intolerance; they also cater to the millions of individuals who seek a gluten-free diet. Gluten-Free Baked Products is a practical guide on the development, manufacturing, and marketing of gluten-free baked products. The book gives readers an entry-level understanding of gluten-free product requirements, their production, and the breadth of ingredients available to baked product developers. This highly relevant book was written as an initial reference for food scientists, including those who need an introduction to gluten-free product development. It was also written as a general reference to those who are indirectly involved with gluten-free products, such as marketers, consultants, and quality assurance and regulatory professionals. Nutrition enthusiasts and consumers following a gluten-free diet for medical reasons will also find this book useful. Gluten-Free Baked Products can serve as a supplemental resource for students and faculty of general food science courses, as well as those covering product development, food allergies, and autoimmune conditions. 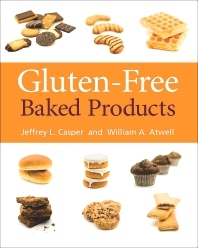 The book gives a good overview about glutenfree products and its production. Sometimes i wish it to be more detailed in specific key factors. Jeffrey L. Casper, Mill City Food Solutions, St. Anthony, Minnesota, U.S.A.